Volunteering for a Political party can be a rewarding experience. 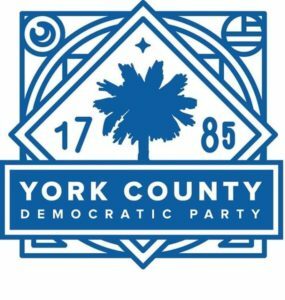 The Democratic party, and the Democratic Party of York County offer a number of different ways to particpate in the process, and to make a difference. Photography at meetings and events, volunteer to take pictures or video at events in coordination with the event organizers. All content will be on our website and social media pages. The York County Democratic Committee operates out of a facility in Rock Hill, SC. Donations are used to help candidates get elected to public office, and to inform the community about issues which are important to South Carolinians. You can create a single, one-time donation, or a recurring monthly donation of $10 using the 120 club.